What has been your most meaningful internship experience? I was taught by a Crime Analyst how to geographically map various crimes around the city through ArcGIS. 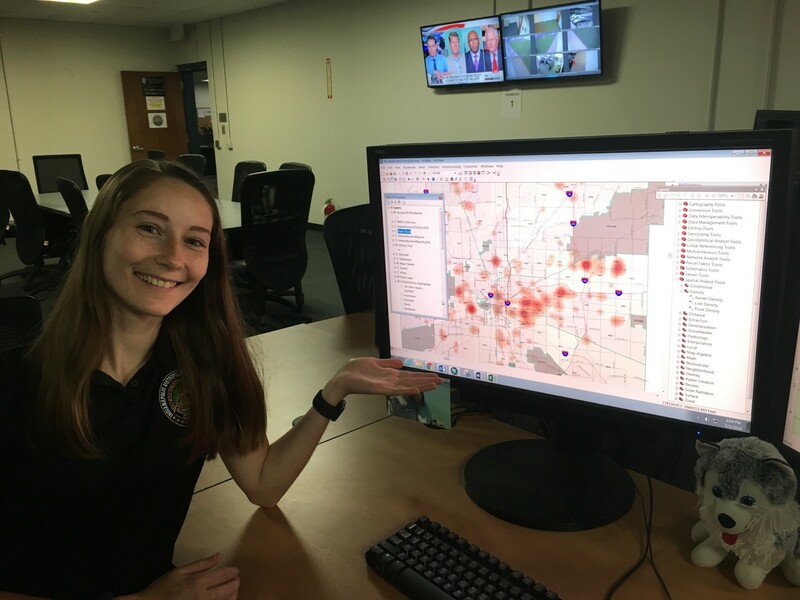 This useful tool is something that could change policies, department structures, or even approaches to crime in our society, so I felt like I was truly analyzing impactful data. What is the most exciting part of your role? The outcome of my work is extremely fulfilling, because I understand the results of my analysis or visual representation could affect the future of proactive policing. It’s very exciting to see my work be sent to important figures in the department and city, and even be recognized for it. How has your internship prepared you for your career? Skills and knowledge of several different databases, structures, and products in the analyst world have been provided to me through this internship. I’m able to effectively communicate with others my results or any troubleshooting help I might need. This is real, hands-on experience with the field I hope to go into.